Faisal Kapadia and I have started a new show at 24/7 Online TV called Out of Bounds. 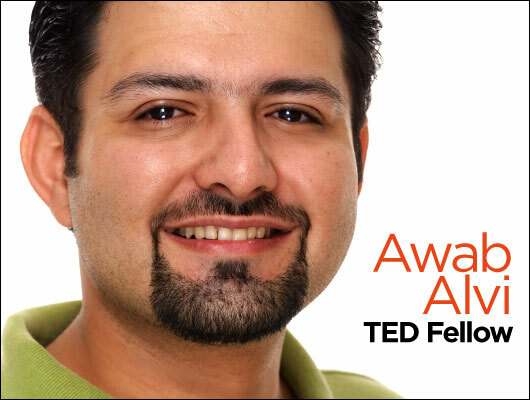 For years, orthodontist Awab Alvi has been an outspoken political activist via his blog, Teeth Maestro. With the onset of disastrous flooding in his native Pakistan this July, Awab traveled to the front lines, delivering food and supplies to flood victims. Though the after effects of the floods have caused personal family tragedy, Awab’s fierce love for and faith in his country make him optimistic about the future. Only three weeks earlier on our 5th Flood Relief mission to Shikarpur the OffroadPakistan stumbled across the Pediatric Ward at Civil Hospital in Shikarpur, the moment we saw the dilapidated situation it touched a nerve in practically each one of our team members and in unison decided to adopt this facility to bring it to some respectable standard of care. In the effort to draw attention to the facility and with the hope of raising funds from the international donor base, Faisal Kapadia and I recorded a plea for help, and shared it with the world highlighting the horrendous situation of the 100 or so kids stuffed in 3 rooms in miserable state. Regardless of their many other differences on post-flood scenarios – people, government, NGOs and the political parties are at least principally unanimous on two basic counts. That the ordinary people of Pakistan have received a dismal treatment for the past sixty three years and that here is an opportunity to make amends. Intentions of rehabilitation, reconstruction and rebuilding are likely to dominate our post-flood vocabulary. How these terms are understood and subsequently transcribed into action could determine if Pakistan will emerge from this deluge as a transformed society or simply continue on its path of medieval backwardness and misery. The much needed post flood activities may be broadly divided into two categories. Those that revolve around brick and mortar and those that are shaped by minds, hearts, attitudes and empowerment. The first category of tasks essentially fall in the government’s domain. These are largely infrastructural in nature and relate to reconstruction of roads, waterways, embankments, dykes, irrigation schemes, housing, damaged schools, healthcare centres and miscellaneous government structures. The government will surely undertake these tasks but the quality of the job done would not far exceed the quality of its doers. Those who can do nothing about the already closed 7000 plus schools (only in one province) will be able to do few miracles for another 10,000 schools that have been devastated by the punishing waters. There is thus alarge window of opportunity for the civil society, the NGOs and the philanthropic organisations, if they really wish to make a difference to come forward with innovative approaches that go far beyond the realm of reconstruct. The greatest need lies in the areas of reform, socio-economic restructuring and empowerment, that could forever change the lives of the masses. The Offroadpakistan team this week embarked on a medical relief mission to Moro and Dadu. The plans for a Medical camp had been taking place since the start of the flood effort, but our initial focus was on providing food and shelter as in the first phase of the disaster that was the basic need of the victims, by the last trip few trips it had become clear that the initial impact of the flood is now beyond us, water had started to stagnate and recede and it was now imperative to refocus our strategy and aim on providing medical relief in the same areas. Our plan was to concentrate on organizing a medical camp, but felt the need to also cater to food and clothes so effort was made to prepare 1000 food hampers, 1100 clothes hampers [which contained one shalwar kameez for men, one three-piece suit for women, one pair of clothes for boys and one more pair of clothes for girls, two soap suds for clothes washing, two for personal hygiene soaps, a womens hygiene kit, a small hand fan and a few other items all packed by a brilliant team of women], we had also arranged for 120 cartons of medicines acquired for roughly for the cost of Rs. 3 lac, compared to the budget set out for our medical camp, we were able collect massive quantity of medicines as our pharmaceutical help cam from Ehsan Awan of Nawan Labs who personally saw the acquiring of generic low cost drugs for the same aliments, truly helping us target a larger number of people within the same allocated budget. Our guestimate was to have enough drugs to cater to at least 500 patients during the medical camp.